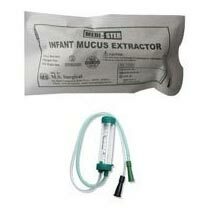 With our commitment, we have established ourselves as a Manufacturer, Supplier, and Exporter of Gynecology Products. 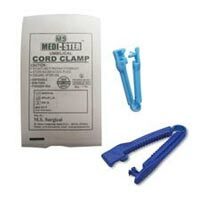 Under our range of Gynecology Products, we offer Disposable Delivery Kit, Infant Mucus Extractor, and Umbilical Cord Clamp. 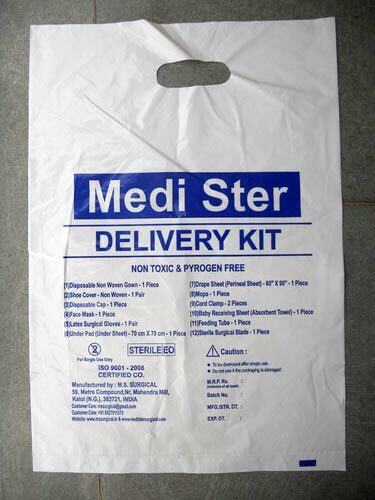 The entire range of Gynecology Products is made using medical grade material, keeping in mind quality standards. Owing to our in-house production facilities, we can meet bulk demands of Gynecology Products as well. 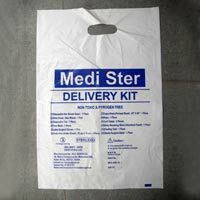 Driven with perfection, we are engaged in manufacturing, supplying and exporting a gamut ofÂ Disposable Delivery Kit.Â Disposable Delivery Kit consists of Disposable Non Woven Gown, Shoe Cover - Non Woven, Disposable Cap Face Mask, Latex Surgical Gloves, Under Pad (Under Sheet) and others that are required during delivery of a baby.